Redmond Health and Detox Products- Giveaway!!! I had a great interview at the Natural Products Expo 2011 with Darryl from Redmond Inc. out of Utah about their health products. He was so excited about what we are up to here at Kardena’s Kitchen and was generous enough to give away 10 Redmond Gift packs valued at $30 each to 10 of you lucky ducks!! At the end of this article you’ll find more information about the giveaway and what you’ll get in your pack when you win. Redmond Int. offers a variety of natural mineral salts and clay products for a variety of health purposes. I recommend them for optimal health, for athletes and for detoxification so I’m excited to be sharing them with you. I love and use their products and have them in my house at all times. I’m not getting anything from them in return for sharing this information with you, it’s from my heart. It’s an all-natural mineral salt that comes from an ancient seabed and contains 60 trace minerals that are essential to hundreds of our bodies functions. Think of these minerals as electrical conductors that help charge your body. Salt and minerals are necessary for hundreds of functions in your body and is even more important for active people, since it replaces electrolytes lost through sweating & drinking loads of water. RealSalt helps build up the bodies store of essential minerals that so many of us are deficient in because of eating over processed foods that are stripped of minerals. “The salt contains dark specks in it, is it dirty?” Some people think the salt wasn’t washed well but really the specks are the naturally occurring minerals from the earth. Realsalt is healthier because they leave it in it’s naturally occurring state containing 60+ minerals that are bio available to the body when ingested. TASTE TEST! Try this at home- put mineral salt in your hand and taste it on your tongue, then taste table salt immediately after. 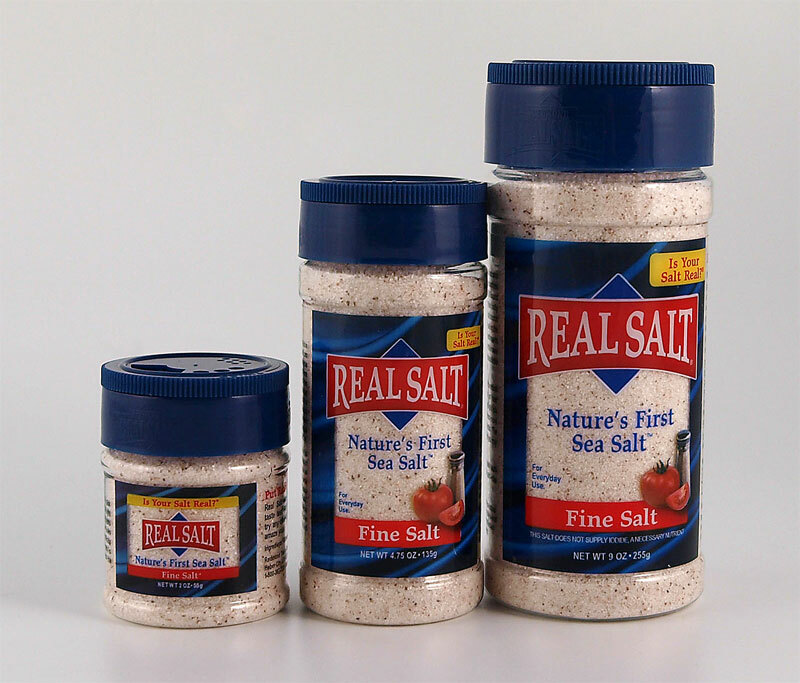 You will notice the mineral salt has a more well rounded flavor and table salt is a sharp almost poison type flavor. Try it! You will never eat table salt again. HEALTH TIP: Drink up to 1 gallon of water a day and put a pinch of RealSalt in your water to help naturally increase electrolytes and help with the bodies ability to absorb the water by giving it “structure”. is used for hundreds actually 1,000 of uses according to Redmond Inc. including relief from internal & external maladies. Because of its alkaline pH, Redmond clay helps with upset stomachs, heartburn, arthritis, colitis and even diverticulitis. Its alkalinity also helps to draw lactic acid from the muscles after workouts and I use it in higher doses when I do a bowel cleanse twice a year. Clay has been used for centuries to detoxify internally since it has an amazing absorbing ability, pulling towards it positively charged elements like heavy metals, parasites, reduces inflammation and viruses. With over 70 trace minerals in the clay, it provides supplementation for charging every cell in the body, similar to the benefits of the mineral salt. The body is like an electrical machine, which needs to be charged to run smoothly. HEALTH TIP: Take one teaspoon loose clay mixed in water or two capsules daily. That’s all you need for gentle cleansing. Redmond Clay can also be used externally for facials – clay paste is applied to the skin, where it works by drawing out impurities and increasing circulation to help improve complexion and acne. After it dries it can be gently washed from the face. Another use for Redmond Clay is to sooth bee stings and spider bites, improve burns, boils and infections. Check out their website for updated research information & their blog where they answer all your difficult questions about salt. 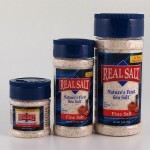 RealSalt OR Facebook and find out the 14,000 uses for salt! Look for Redmond’s products at your local health food store. All packaged together and shipped to you free of charge at a retail value of $30! You are so lucky! 3. Or posting on your blog linking back to this post and leaving me a comment letting me know you did so! Contest open to US residents only- I apologize if you are international, it’s the companies stipulation for the contest. This giveaway will be live from Monday June 20th- Wednesday June 22nd midnight. 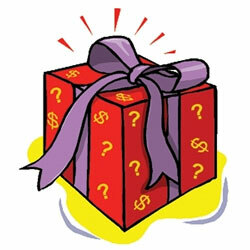 Thursday afternoon we will pick our winners at random and announce it here on our blog and on our Face Book page. Question: Tell us how you would use these products and why you should win. It’s the day before my 48th birthday. I always get very introspective on this day. Think about what I’ve done with my life and what I’m going to do with my life. I just moved across the country and decided it’s time to turn over a new leaf in so many different ways. I want to start my 48th year with a clean slate and these products would definitely help. I am a big fan of Kardena’s. She is a very inspiring girl. The toxins so the capsules would come in handy to further detox my body. I also will try to put the salt in my water especially cause I’m running. I would use them for myself then promote them to others that I know on Facebook, church and work. Last year I watched the video you had done on the daily drink of lemon, cayenne pepper and white tea. Over half of my church family, friends and fellow gym members are doing this daily. For me it was awesome since my knees were worn out after 15+ years of parachuting in the US Army. I enjoy helping others to get better fit, my reward is to see and hear about the results plus see the glow and smile on their face. Thanks for reading and have a PHENOMENAL day! I would love to include mineral salt into my diet because I used to years ago and felt great while doing so, but fell out of the habit. I have never heard of all the health benefits of clay but would love to include that in my daily regimen as well. I want to be as healthy as possible!!!! I like using natural products to help heal. I have a hyperactive thyroid, so everything is on high speed and the products just might help out a bit to replenish what I have lost and remove what’s stayed behind that shouldn’t be there. I also need to get back into the habit of a better skin care regimen, because the thyroid issues have effected my complexion in a very, shall we say, slick and bumpy way, and clay masks are good for those issues! Why I should win? Well, I have been battling acne all my life and I would like to try these if these clay mud packs and the detox caps assist me in finally winning my battle. I would love to try the clay masks…I had my three children close together (the latest in dec. 2010) and my complexion is awful. I’ve tried just about everything but nothing helps. Definitely would be excited to try this!! These products sound great! I love to cook here and pretty much use regular salt and the occasional sea salt in my dishes. I would love to try the Real Salt! It would make me feel better knowing I’m serving my family the added benefits this salt has. And the clay product? I’ve never heard of ingesting clay before, but I’m always open to trying new things! Plus I could use the detox! Thanks for the info! Thank you so much for this chance to win these products! Hi Kardena!! I came upon your article today and when I noticed you had stuff to give away…I wanted to sign right up! I use the mineral salt now in almost every thing I make. I didn’t know about the water but I will definitely give it a try. 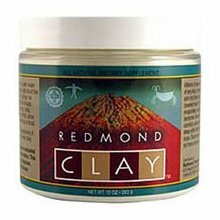 I would love love to try the Redmond Clay…I’m still battling my new adulthood breakouts And anything that could possibly help would be amazing. I’m always on the lookout for natural clean remedies. Thanks for all you do! I enjoy trying new products, and the clay sounds intriguing, both the on-my-face type and the internal cleansing type. And salt – well, healthy salt makes such a delicious difference on salads! I love to cook so I’ve been using salt a lot. If there’s a better alternative (flavor and taste) I’d definitely try it. As for the clay, yes, it’s interesting and would like to use it for facials too. You know there’s so much love from me, and I love all of the inside info you always share with me. I thank God every day for having you and Mark in my life. You do great things. Keep up the work, and you know I will help spread the word for you. Darn, I just got back from Vacation, and saw this contest, I love Redmond Clay and have been using it for years internally and externally. Good stuff and I concur what Kardena mentioned about it…They make excellent products. My mother in law turned me on to them and she researches only the best stuff…Thanks Kardena for featuring them! I would love to use the mineral rich salt in our food…and the clay in baths,and in my drinking water to add minerals! Thanks for doing this great giveaway:) I liked your page on FB! After I learned about the Redmond Clay from Kardena, I immediately went to my local Mother’s Market and bought the Daily Detox as well as the Mineral Support product. Wow! I really appreciate your honesty and realness. Congrats on your success! How many people talk about their bowel movements! Love you for that! Redmond products are powerful and help with so many health issues, that’s why I had to share them with everyone. If you can help someone get out of pain, that is the best and most rewarding feeling so they can enjoy their life.